Please see this blog post for some additional information about our collaborative process while in residence at Joya: AiR in Spain. A couple samples of live projection and movement from our residency at Joya: AiR in Spain, January 2018. Two samples that illustrate our research methodology. Lauren dancing a six count sequence adhering to the “grid” of the stage, and Broderick’s six count drawing sequence to the grid. These types of exercises are the first steps to developing a coherent language between the drawing and dance. 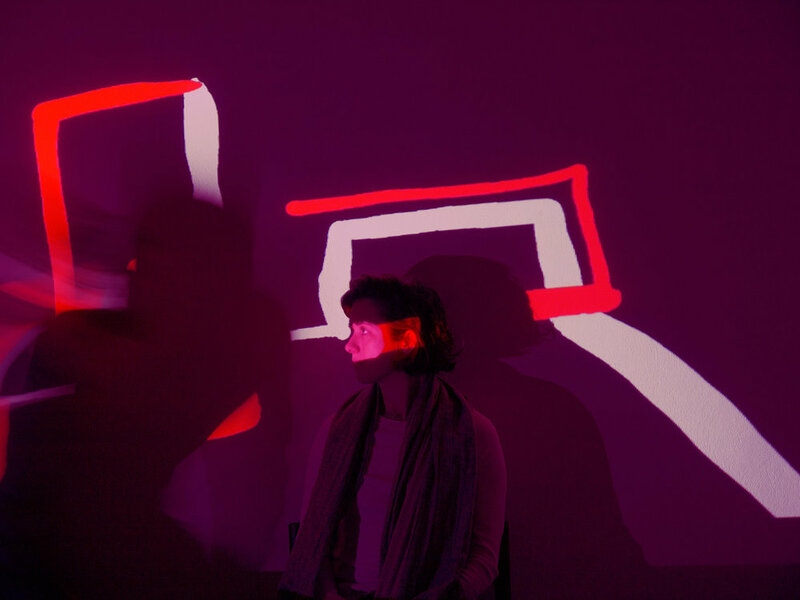 A mash-up video of some of our projection drawing and movement sketches. SHED is an installation performance that places three dancers inside of three tetrahedron shaped plaster sculptures that are slowly changed through the dancers movement within the structures. SHED took place on July 20th, 2018 at the Queens Botanical Gardens and was presented by the Queens Council on the Arts as part of their inaugural $10,000 artist commissioning program grant. Myself, Chuan Xie, Kyle Dietrich and Lauren Newman received the grant under dancer Chuan Xie's name.